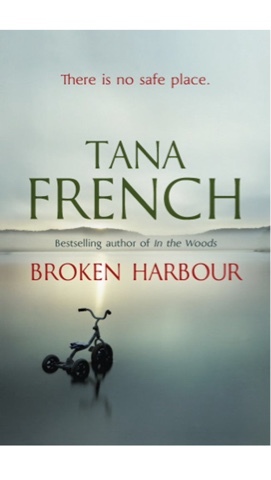 This month I also starting reading the next in the Tana French series of books "Broken Harbour". Although that'll be extended into July it's looking good so far. I really enjoy her characterisations and I'm intrigued to know whodunit!! I decided I'd save the new Kate Atkinson until we (hopefully) go on holiday and also have another Rachel Abbott "Stranger Child" and a set of three short stories by Simon Kernick to keep me quiet this month....obviously this is subject to change on my whim!!! I migth also get the last Tan French book too. Need to have plenty of reading matter to choose form on holidays. Last month, I also said I'd be talking about other things I have been reading. Well, for work I've been working my way through "Transformative dimensions of adult learning" and "Learning as Transformation" both by Jack Mezirow. It's as accessible as it sounds, although the concepts are interesting I'm finding the book itself tough going! More to my taste is my bedtime leafing through Tender vol I (Nigel Slater) and Hugh FW's Everyday Veg. The cauliflower and chickpea curry looks very good (and doesn't involve the oven on these hot days!). These all sound like good reads except for the ones you've been reading for work. Sorry. But you have plenty of other books to keep you busy so that's your summer reading sorted. Hope your holiday is not too long now. Have fun! How different all our reading tastes are. I read Broken Harbour but wasn't that struck but you will be surprised as to who did do it. The Apologist sounds great! I'll have to try the Tara French series, I'm a new convert to whodunnits! Ooh, I keep meaning to pick up a secondhand copy of Tender, thanks for the reminder. My original copy was accidently included with the books being dropped off at the library and hasn't been seen since!